Memorial services will be 10:00 A.M. Saturday, March 23, 2019 at Brooks Chapel. Mary’s niece, Royce Daugherty and husband, Gayland of Abilene will officiate. Mary was born August 17, 1921 in Denver, Colorado to John H. and Ethel Hoyt. She was raised in Denver and attended Regis College. She married John Allen Hoover on December 18, 1945, in Denver. He preceded her in death on February 22, 2008. They were married 62 years. They lived in Pampa, Amarillo and have resided in Canyon since 1964. Mary worked as an Assistant Registrar at WTAMU for 21 years before retiring. Mary is survived by children Kathy Whitehead Myers and husband Bruce, Joyce McBroom and husband Mike, John Hoover and wife Cindy, and Robin Garcia. 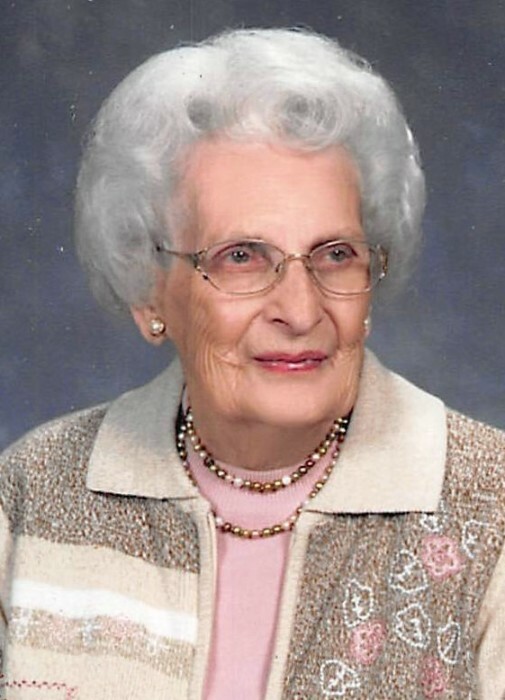 She had 7 grandchildren, 18 great-grandchildren, 1 great-great grandchild and numerous nieces and nephews and their families. She was also blessed with and preceded in death by an older brother and sister, dear brothers and sisters-in-law, and a precious great-granddaughter, Eliza, all who were awaiting her arrival in heaven. Words cannot express our gratitude and love for faithful and dear friends and for the extended wonderful and loving “family” at Conner Place, her “home away from home.” She loved each one of you, and so do we. The family suggests memorials be to WTAMU to help establish a scholarship for Ag students, to the Paul Engler College of Agriculture and Natural Sciences, WT Box 60872, Canyon, TX 79016.